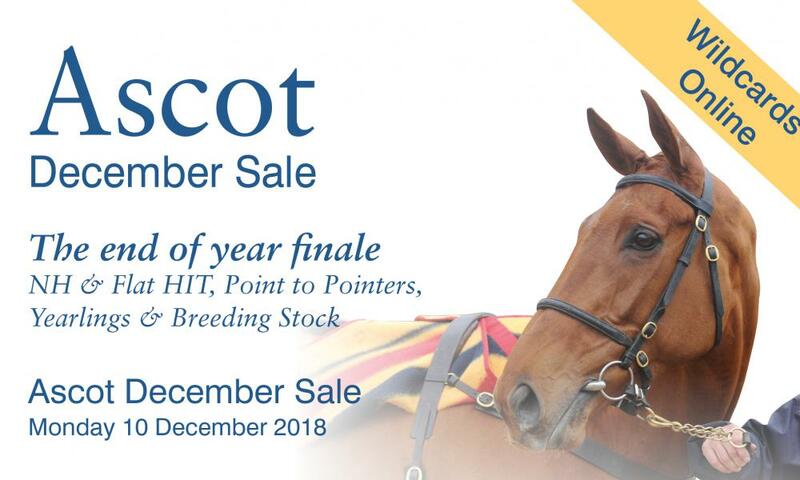 The end of year finale, the Horses in Training Sale at Ascot at 10.30am on Monday 10 December has attracted an exceptionally strong catalogue of quality Flat & NH Horses in Training, winning & placed Point to Pointers, Yearlings and Breeding Stock and has been further enhanced by the addition of eighteen wildcard entries. Placed 3rd beaten only 3 1/2 lengths in the 4yo Maiden point-to-point at Rathcannon on 25 November. The 6 length winner on his latest start of the Open 4yo+ (Banks Course) point-to-point at Lingstown on 25 November. The 4 length winner of the 5yo Geldings Maiden point-to-point at Corbeagh House on 2 December. Placed 2nd on his latest start in the 4yo Maiden point-to-point at Lingstown on 25 November. Placed 3rd on hid debut run in the 5yo Geldings Maiden point-to-point at Corbeagh House on 2 December, his only start to date. The winner of the 2m Handicap Hurdle at Leicester on 2 December.